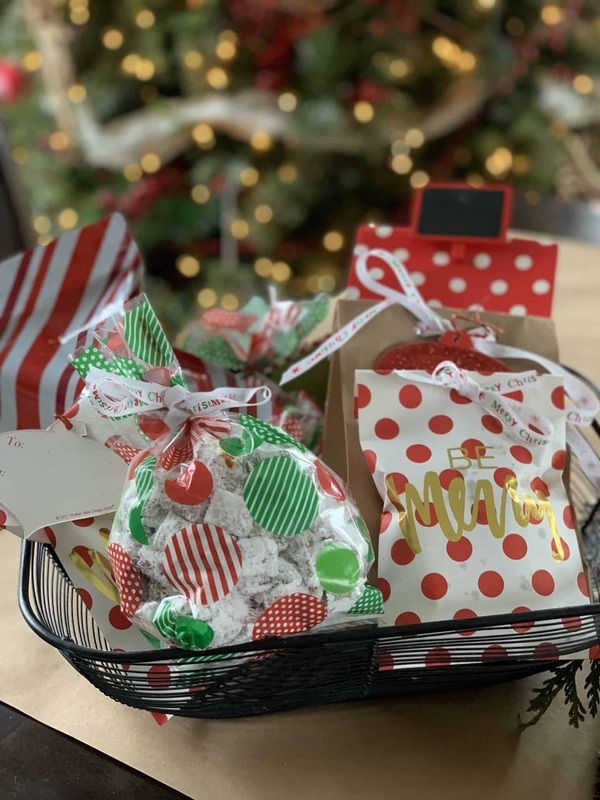 December 10, 2018 by Laurie Leave a Comment This post may contain affiliate links, which means if you click on a link and purchase something, I may earn a small commission (at no additional cost to you.) See my disclosure policy HERE. 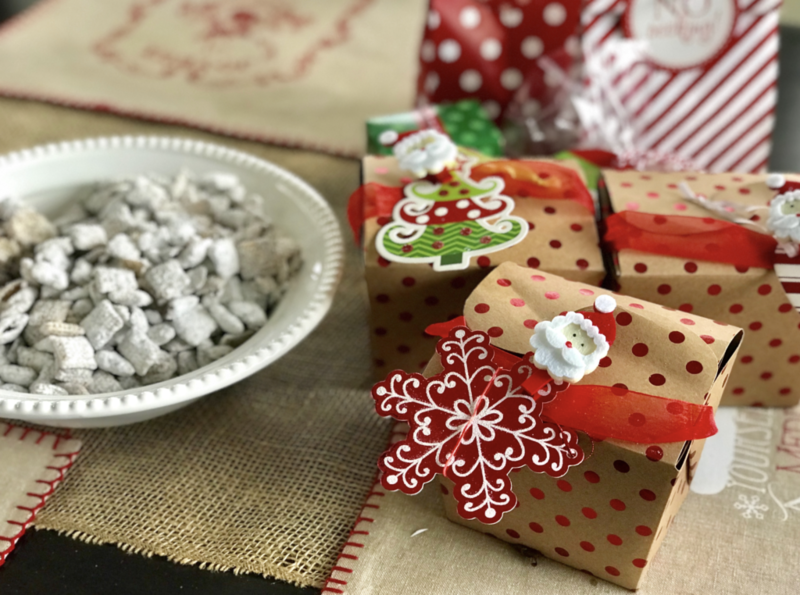 It's a new 12 Days of Christmas Baking series (you can download your grocery list and cookbook HERE), where we'll be making yummy Christmas treats to share with others this season! I'll be honest . . . I totally wanted to skip this series this year (or at least to do it all in one day . . . ) but my daughter Caroline begged me to keep it around so she would have treats to share with her friends at school each day. 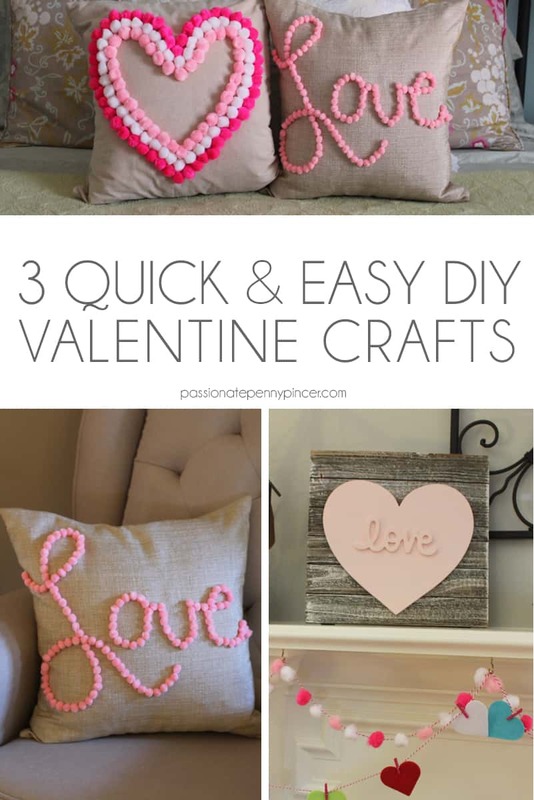 Looking for more homemade DIY projects? Here you go! 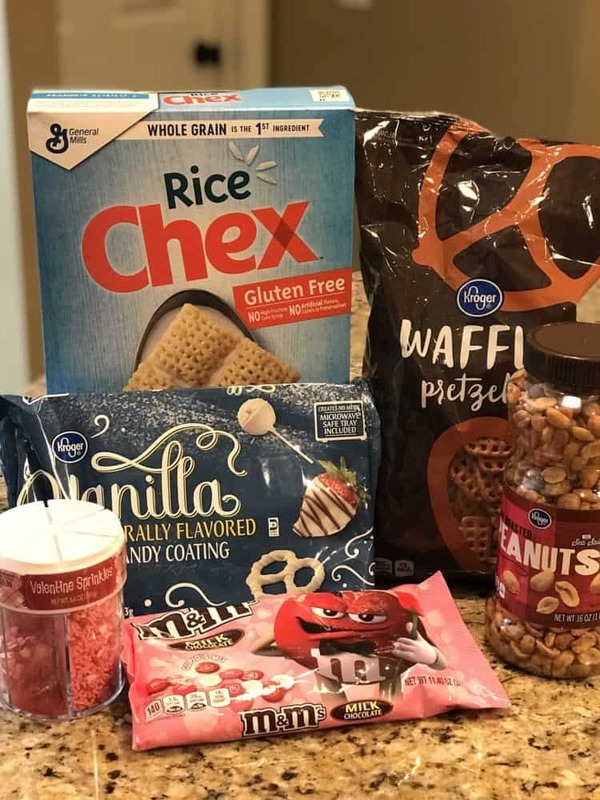 September 21, 2018 by Laurie 1 Comment This post may contain affiliate links, which means if you click on a link and purchase something, I may earn a small commission (at no additional cost to you.) See my disclosure policy HERE. 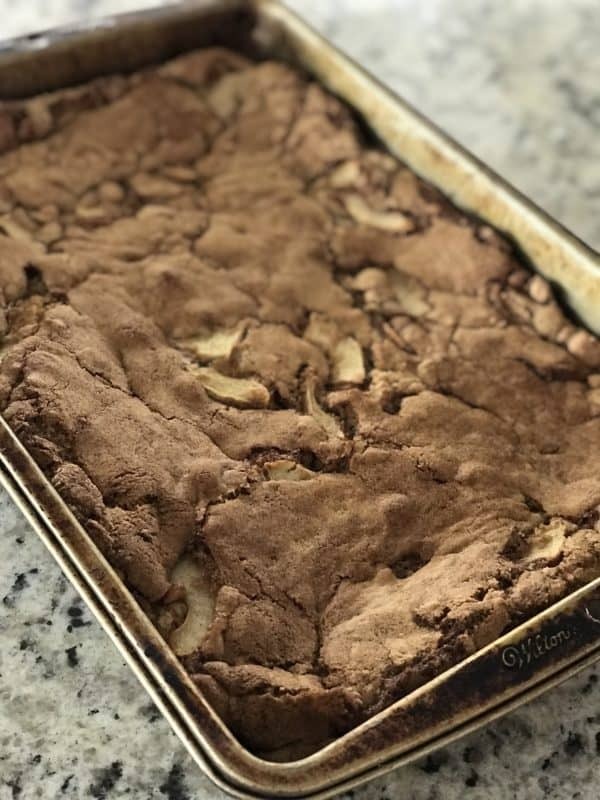 This apple cake is by far my favorite fall treat, and when my daughter and I made it last week she even made a cute little video to show the process. I could make this cake all year long and never grow tired of it, but it just sounds so good in the fall and makes our home smell delicious! 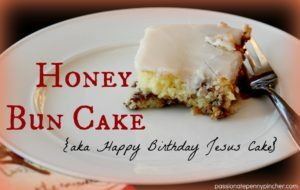 When I first found the recipe nine years ago I was teaching preschool “cooking and science” and my preschool classes made the cake – our entire church smelled heavenly! So, grab your apron and a few apples (you might love this apple peeler/corer too), and get baking. 4 Granny Smith apples, peeled and sliced I think any tart apple will do – we used a bag of apples on sale at Publix in last week's sale. (To see detailed apple information, check out this site!) 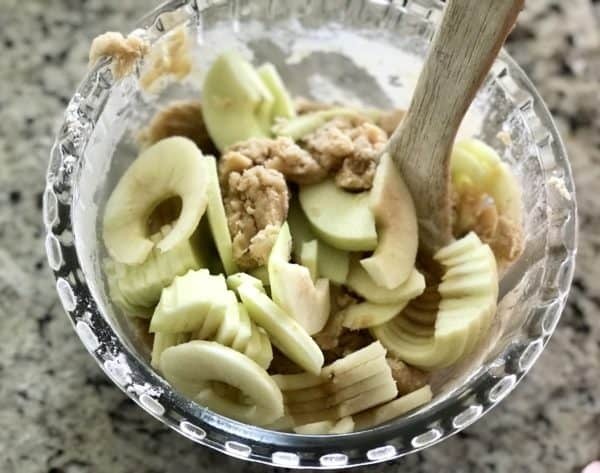 If you have an apple peeler & slicer it makes this so easy, and my kids love watching it work! If not you may have a little more prep time on your hands. 1 . Stir together first 4 ingredients in large bowl until blended. 2 . 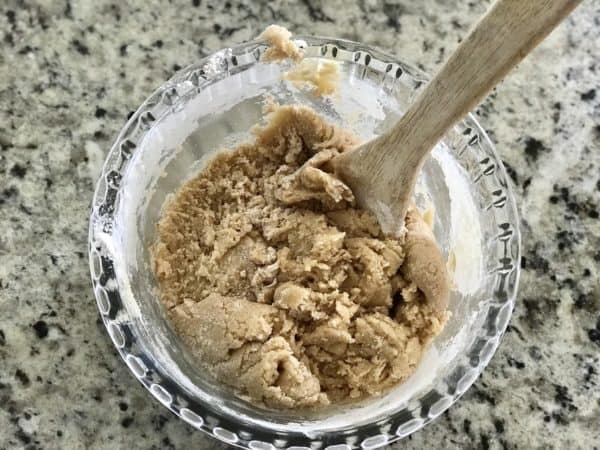 Combine flour and next 3 ingredients; add to butter mixture, stirring until blended. 5 . Bake at 350° for 45 minutes or until a wooden pick inserted in center comes out clean. 6 . Cool completely in pan on a wire rack. 7 . Spread with Cream Cheese Frosting; sprinkle with walnuts, if desired. 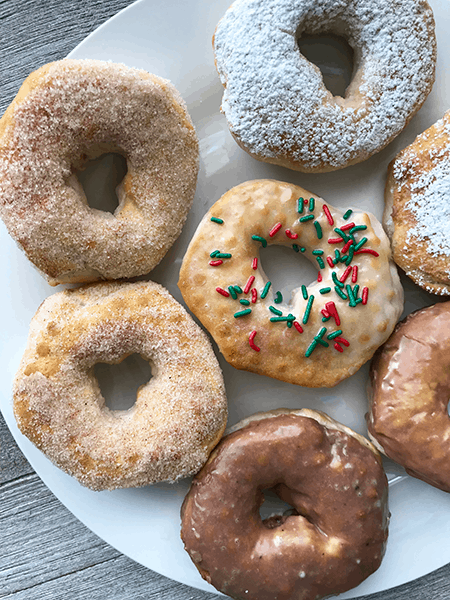 note – you may want to double frosting – we always like extra! 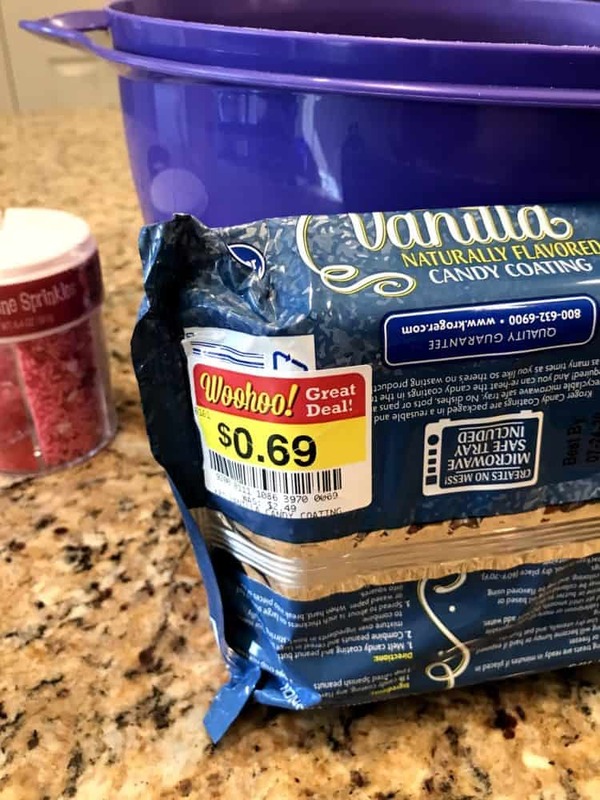 To make the Cream Cheese Frosting . . . Recipe adapted from Southern Living Magazine. 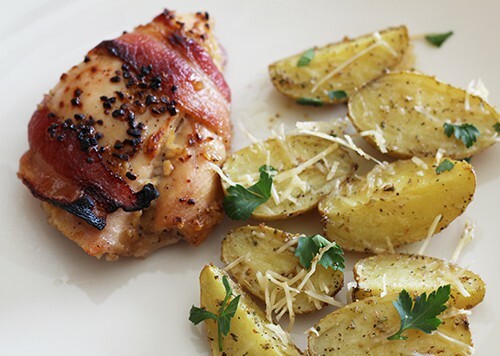 If you need a little more menu inspiration, check out the Recipe Index. June 14, 2018 by Cheree' Leave a Comment This post may contain affiliate links, which means if you click on a link and purchase something, I may earn a small commission (at no additional cost to you.) See my disclosure policy HERE. 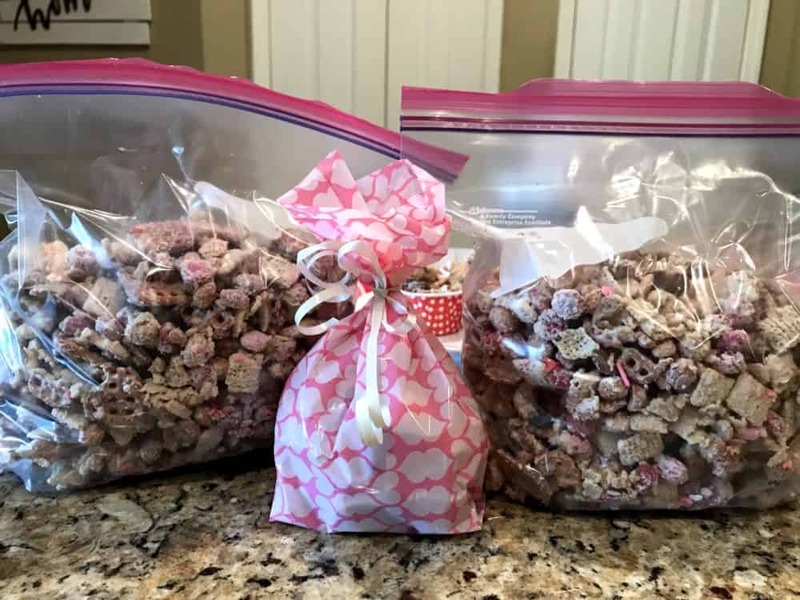 Note from Laurie: my friend Cheree makes this AMAZING Strawberry Pretzel Salad, and I can't wait to try it myself! I'll be honest, I've never quite successfully made this one (I've had a few flops along the way . . . ), so I can't wait to try letting the gelatin cool completely before assembling. Excited to try it! I LOVE all it's deliciousness, but boy, it can sure test your patience and slide you right over to the HATE side! However, I think I have discovered the key to making a perfect (well, almost perfect)… Strawberry Pretzel Salad. You need to let your gelatin cool before assembling. Just let it hang out on the counter while you are working. (but don't hold me to it if your Strawberry Pretzel Salad ends up like so many of mine have and slides right off the plate). For the crust, mix pretzels, 3 Tbsps sugar and butter together. Press into the bottom of a 13 x 9-inch baking dish. Bake 10 minutes. Set aside to cool. In a small bowl, mix gelatin and boiling water together. Set aside and allow to cool slightly. In a mixing bowl, beat together cream cheese and 1 cup sugar until smooth. Fold in whipped topping until combined. Spread over cooled crust. Refrigerate until chilled. Add sliced strawberries to cooled gelatin and stir to combine. Pour over cream cheese mixture. Cover and refrigerate at least 3 hours or until set. I usually make mine the night before I will be serving it. You will impress your friends and family with this Strawberry Pretzel Salad – I promise this one is always a favorite . . . yum! Looking for more strawberry inspiration? August 3, 2017 by Laurie Leave a Comment This post may contain affiliate links, which means if you click on a link and purchase something, I may earn a small commission (at no additional cost to you.) See my disclosure policy HERE. Have ton's of yellow squash left over from your garden this summer? I couldn't believe how much my family loved it! 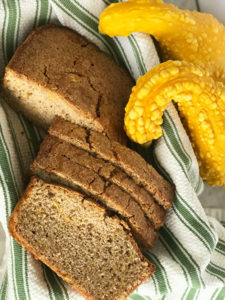 It tastes just like zucchini bread and the kids won't even know they're getting veggies with this delicious yellow squash bread. Use an electric mixer to beat eggs until fluffy. Gradually mix in flour, baking powder, cinnamon, and nutmeg. Spread evenly into two greased loaf pans. Bake 1 hour in preheated oven, until toothpick inserted in the center comes out clean. May 3, 2017 by Laurie Leave a Comment This post may contain affiliate links, which means if you click on a link and purchase something, I may earn a small commission (at no additional cost to you.) See my disclosure policy HERE. My sweet friend Margaret Ann was gracious enough to visit us again last Friday, and made the absolutely yummiest homemade Country Cobbler to share. If you missed the video you can watch on Facebook here. As I shared earlier, we met at Bible Study this year, and the minute I heard her sweet Southern accent I felt all-of-a-sudden-at-ease in a group of women who were completely new to me. Isn't it funny how a kind voice can do that? Once we got to talking, I realized she cared about so many things that I just loved too. Margaret Ann's been a wife, mom, teacher, realtor, culinary school professor, chef . . . and she's even owned two restaurants in Rome, Georgia. I knew you would love Margaret Ann too, so I was thrilled when she offered to do a few “cooking classes” with us here on PPP. She taught us in the Dinner's Done Facebook group she taught us how to make omelets (I learned so much from her! 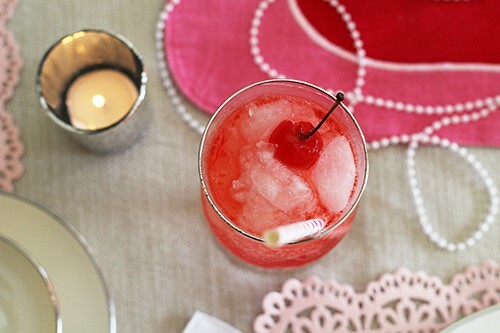 ), and the recipe she shared this week for cobbler is out of this world. 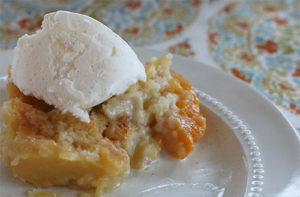 Like really ~ WOW ~ I wasn't even positive I liked peach cobbler when she mentioned sharing this recipe with us, but now that I've had it I'm hooked! Pour the melted butter into a 7×9 dish. Add the dry ingredients (right into the dish) into the melted butter and mix up a bit. Next pour one cup of milk on top of the ingredients and mix that in just a little bit. 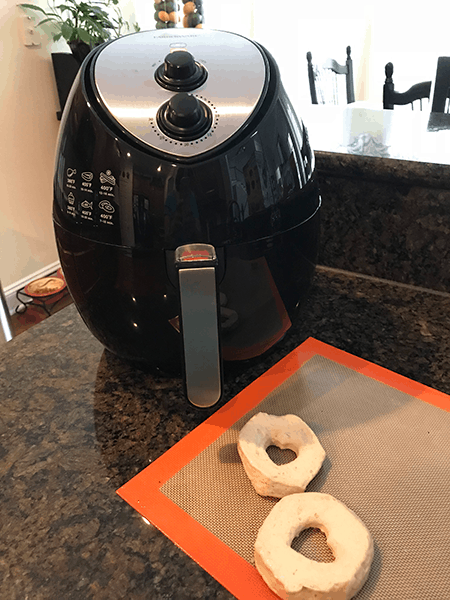 Pop in a 350 degree oven for 25 – 30 mins. April 15, 2017 by Laurie Leave a Comment This post may contain affiliate links, which means if you click on a link and purchase something, I may earn a small commission (at no additional cost to you.) See my disclosure policy HERE. This is the easiest cake, and we had such fun making it this weekend! 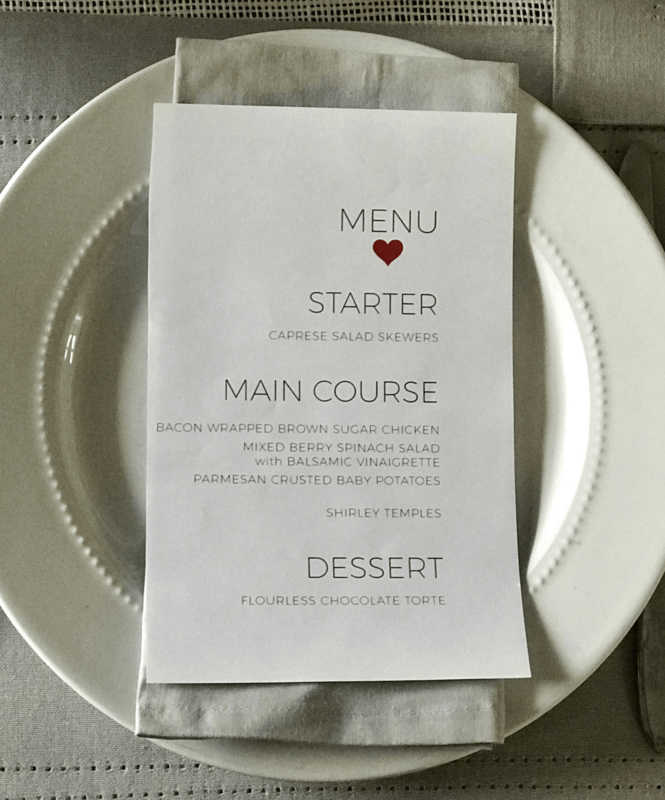 **For more Easter recipes, check out this Printable Easter Menu Plan. This kid-friendly Easy Easter Kit-Kat Cake takes hardly any skills – all you do is bake a round layer cake from a mix and frost it. Next stick Kit-Kats to the side and tie a pretty ribbon around them to keep everything in place. Finally, pour Cadbury Mini Eggs (or M&Ms) on top, nestle a chocolate Easter Bunny in the middle and you're ready to serve! If you're bringing this to an event, it would travel well in a Cake caddy like this one – but you'll just want to save the Bunny for last. Make a chocolate cake using two round pans, according to box directions. Break the Kit Kats into individual sticks and completely cover the sides of the cake. Wrap a pretty ribbon around the cake and tie gently to help hold all the Kit Kats in place. 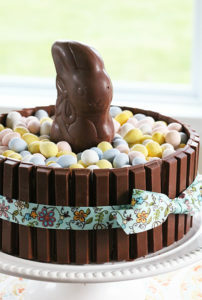 Place the chocolate bunny on the center of the cake top and surround with Cadbury Mini Eggs. Here's a peek at my daughter Caroline and me making it to get ready for our family this weekend. 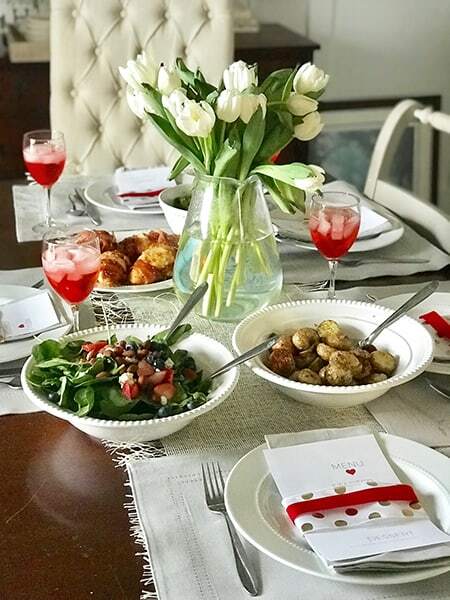 Hope you enjoy a wonderful Easter, and spend it with a few folks you love! My prayer for you this Easter is that you might know salvation from the One who values you so greatly that He willingly gave His life for you. It truly is the greatest gift we'll each receive, and allows us freedom and peace. As my son reminds me each Easter morning, “Christ is risen!” He is risen indeed. December 21, 2016 by Laurie Leave a Comment This post may contain affiliate links, which means if you click on a link and purchase something, I may earn a small commission (at no additional cost to you.) See my disclosure policy HERE. This weekend we finished up our 12 Days of Christmas Baking series making Peanut Butter Buckeye Balls, and oh my goodness, they are soooooo good! 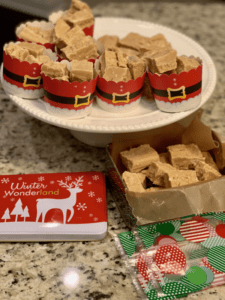 Download your free 12 Days of Christmas Baking Grocery List and Cookbook over HERE if you didn't get the chance already ~ I've so enjoyed making everything this week (and hope you've made a few too!) 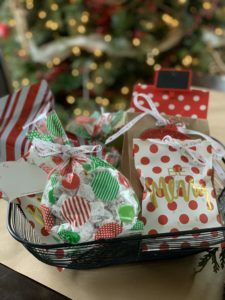 I'm amazed at how much easier it is to get ready for Christmas with a plan in place, and having this list has just made Christmas easier at our house this year. December 14, 2016 by Laurie Leave a Comment This post may contain affiliate links, which means if you click on a link and purchase something, I may earn a small commission (at no additional cost to you.) See my disclosure policy HERE. Today we're making the best chocolate chip cookies EVER ~ I promise if you make one recipe from PPP this Christmas this is the one to make! December 12, 2016 by Laurie 1 Comment This post may contain affiliate links, which means if you click on a link and purchase something, I may earn a small commission (at no additional cost to you.) See my disclosure policy HERE. 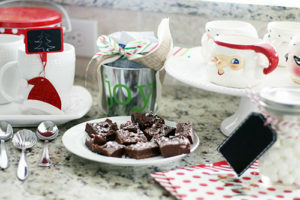 Here's a peek at today's Christmas Baking Recipe ~ yum! 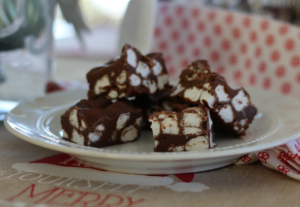 And, if you missed us making Christmas Crack yesterday (it was a wee bit of a disaster . . . ) you can check it out over HERE. December 9, 2016 by Laurie Leave a Comment This post may contain affiliate links, which means if you click on a link and purchase something, I may earn a small commission (at no additional cost to you.) See my disclosure policy HERE. Today we're making Almost Homemade Cinnamon Rolls ~ yummmm! 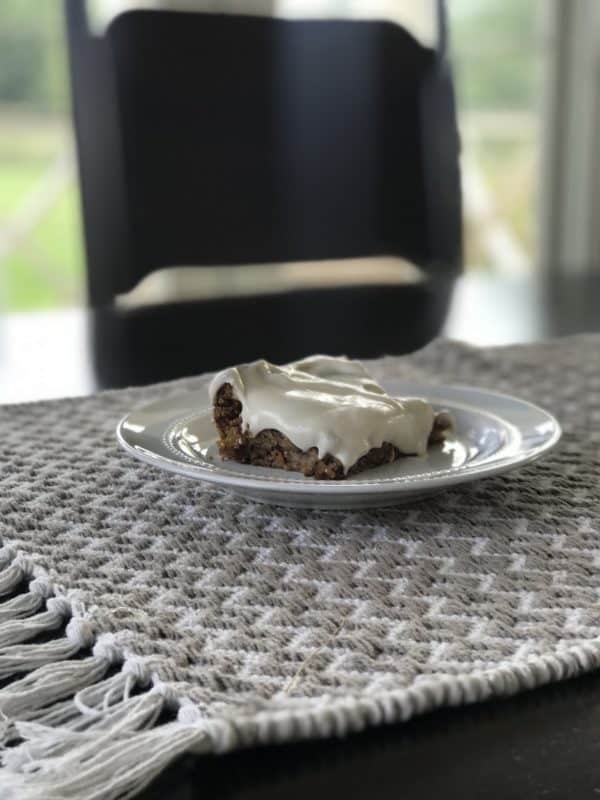 If you love Cinnabon Cinnamon Rolls you have got to try these – they cost about $1 for a dozen cinnamon rolls, and your kids will think you're a rockstar when you're done. And, as I mentioned in the video, Flirty Aprons is offering a big discount right now when you use the code SHOPNOW at checkout! You’ll get an extra 60% off site-wide, plus free shipping. That is a fantastic deal. Valid through 12/11! 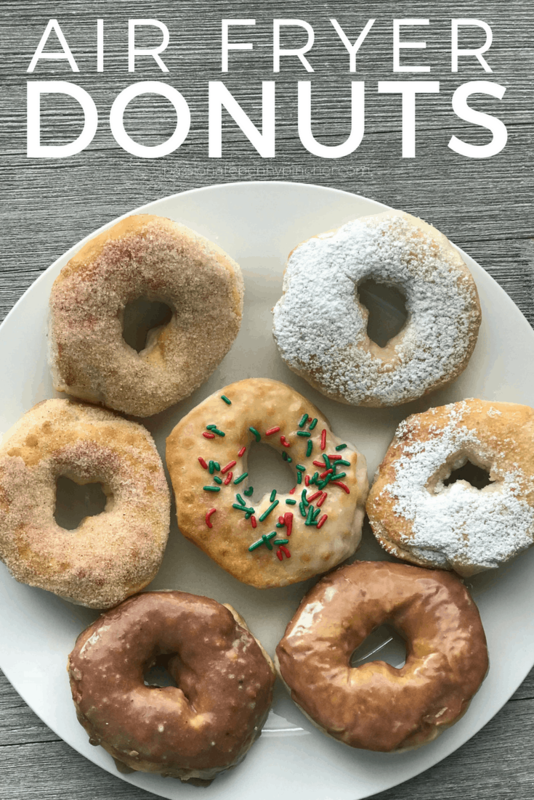 Download your free 12 Days of Christmas Baking Grocery List and Cookbook over HERE. 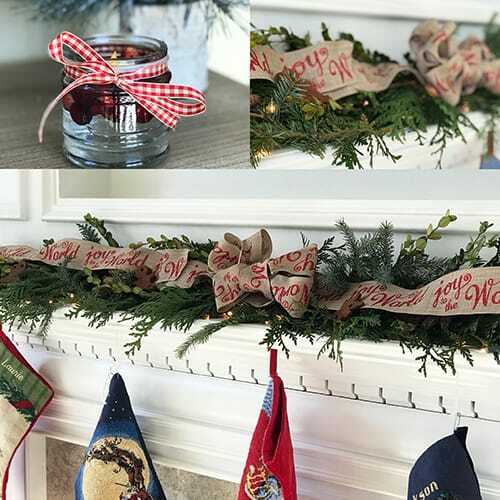 I'm amazed at how much easier it is to get ready for Christmas with a plan in place, and having this list has just made Christmas easier at our house this year ~ hope it makes Christmas go more smoothly in your home too! December 7, 2016 by Laurie Leave a Comment This post may contain affiliate links, which means if you click on a link and purchase something, I may earn a small commission (at no additional cost to you.) See my disclosure policy HERE. 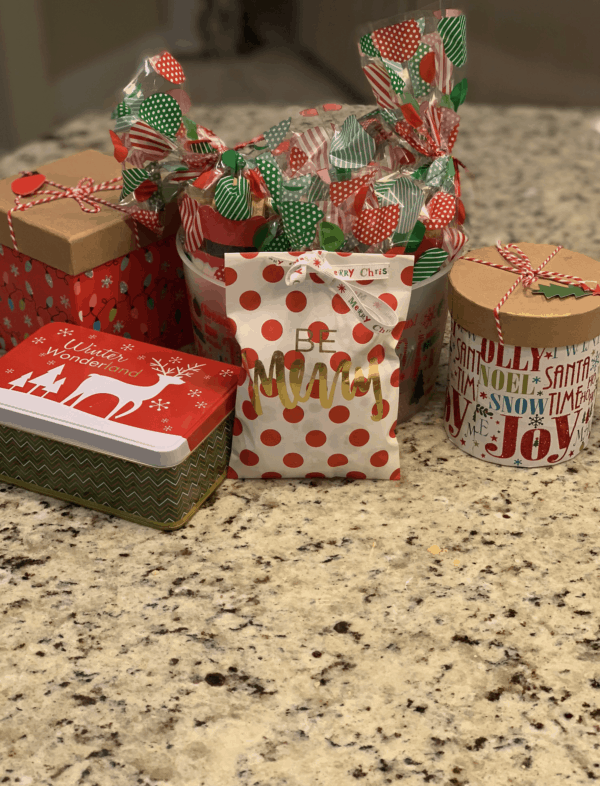 I'm so excited about today's yummy Christmas recipe, but even a wee bit more excited about all the fun packaging supplies I scored yesterday at Hobby Lobby! December 6, 2016 by Laurie Leave a Comment This post may contain affiliate links, which means if you click on a link and purchase something, I may earn a small commission (at no additional cost to you.) See my disclosure policy HERE. 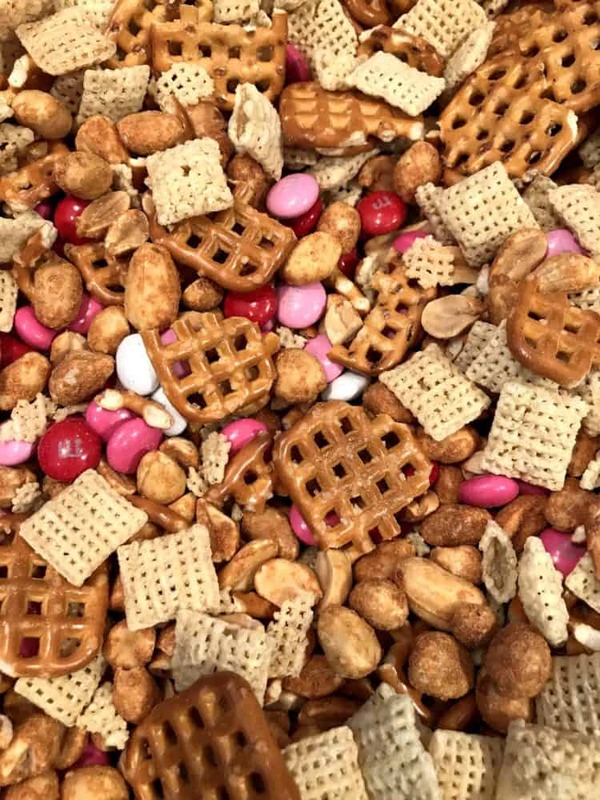 Today we're making Muddy Buddy Chex Mix ~ sooooo good! 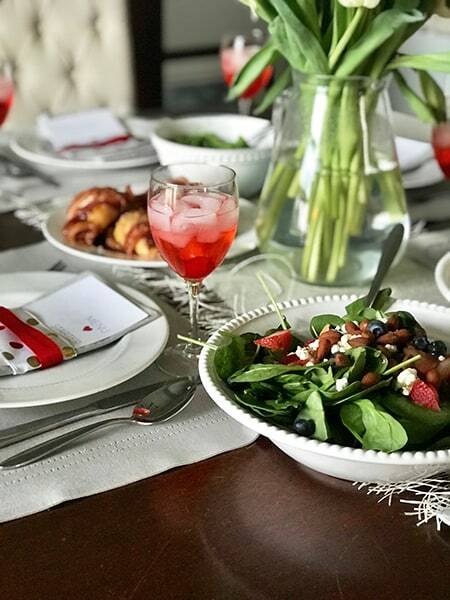 You can download your grocery list and cookbook HERE ~ definitely one of our favorites, and I'd love to hear what your family makes each Christmas too. I'd love for you to join me, and can't wait to spend this month taking care of our families and friends while we prepare for Christmas! If you're making any yummy recipes this month I'd love for you to leave a comment and share what you're making. December 5, 2016 by Laurie Leave a Comment This post may contain affiliate links, which means if you click on a link and purchase something, I may earn a small commission (at no additional cost to you.) See my disclosure policy HERE. I'm so excited to finally get back to cooking (and baking!) this week! 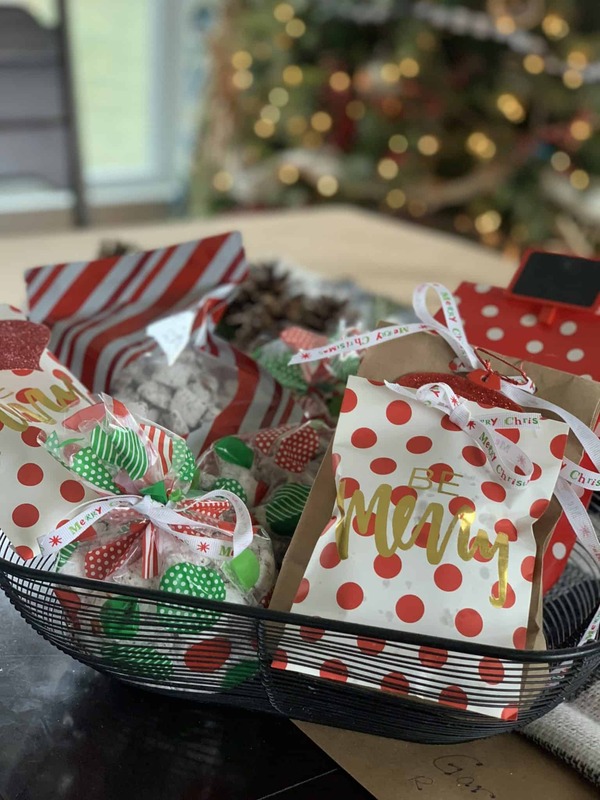 We're starting a new 12 Days of Christmas Baking series (you can download your grocery list and cookbook HERE), where I'll be making a yummy Christmas treat 6 days a week over on Facebook Live, then sharing it here. I'd love for you to join me, and can't wait to spend this month taking care of our families and friends while we prepare for Christmas! 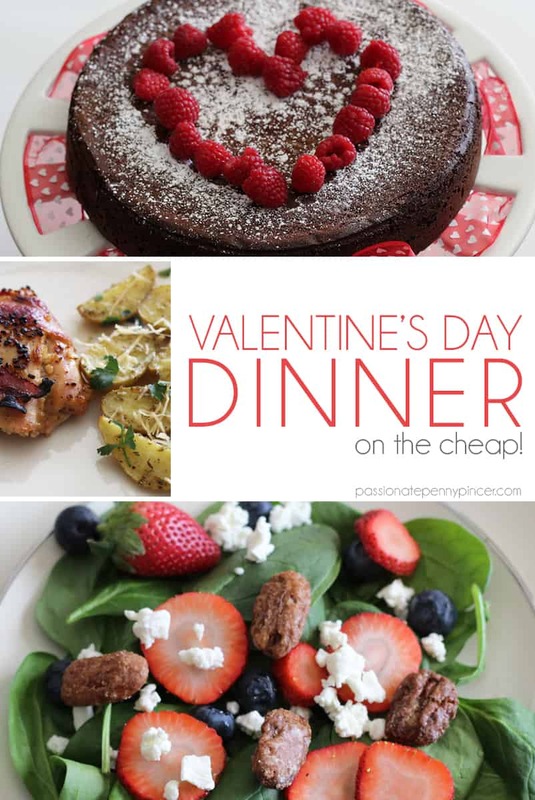 If you're making any yummy recipes this month I'd love for you to share those too ! leave a comment to share. August 31, 2016 by Laurie Leave a Comment This post may contain affiliate links, which means if you click on a link and purchase something, I may earn a small commission (at no additional cost to you.) See my disclosure policy HERE. Hand picked peaches in the south (or anywhere) are soooooo good! There is an orchard close to our home so we decided to go and pick some peaches for the first time ever. 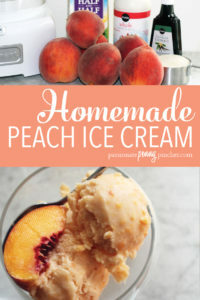 I was searching for a healthier recipe for peaches when this one for Peach Ice Cream popped up and I knew we had to try it. I'm SO … so … so glad we did! Gather up your ingredients and peel and slice your peaches. The riper the peaches, the easier they are to peel. Once you have your peaches peeled and sliced, pop them into a food processor or blender until they are finely chopped. My little one loves peaches almost as much as cupcakes and couldn't wait to help. Mix the remaining ingredients into a large bowl. Once it's done you can eat it right out of the ice cream maker and store any remaining in the freezer for up to two weeks. Enjoy!! Blend the peaches in a food processor or blender until finely chopped. Put the peaches, half and half, sugar, milk and vanilla in a large bowl and mix well. Put the entire mixture into an ice cream maker and freeze according to manufacturer’s instructions. Freeze any leftovers and enjoy! Recipe adapted from Emily Bites. August 3, 2016 by Shannon Leave a Comment This post may contain affiliate links, which means if you click on a link and purchase something, I may earn a small commission (at no additional cost to you.) See my disclosure policy HERE. If you're looking for a super flexible recipe to use up whatever's in your pantry, this is for you. 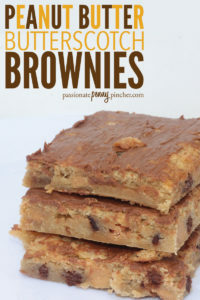 I add butterscotch, peanut butter and chocolate chips into mine, but you can take away any of the baking chips and it still turns out amazing! It's my nine-year old daughters top five favorite desserts 🙂 and we sometimes add ice cream to it but it's really perfect all on its own. Yum! 2. Stir together brown sugar, butter and granulated sugar in a large bowl; beat in eggs and vanilla. Add flour and salt just until blended. (try not to over mix). Set aside 2 tablespoons of each of the baking chips of your choice. Stir in the remaining chips in the batter. 4. Bake for 20-25 minutes or until lightly browned. Cool completely. 5. Place remaining 2 tablespoons of each of the baking chips and shortening in a small microwave bowl. Microwave on high for 30 seconds, stir until smooth. Drizzle over bars. Recipe adapted from Hershey's Kitchen. Looking for more easy dessert ideas? July 20, 2016 by Shannon Leave a Comment This post may contain affiliate links, which means if you click on a link and purchase something, I may earn a small commission (at no additional cost to you.) See my disclosure policy HERE. I love all the layers and this dessert really comes together so easily, your kids will want to help out with this one. Here's what you'll need . 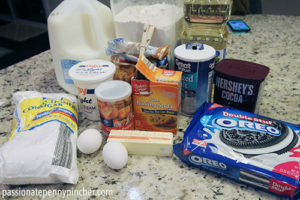 . .
Place Oreo Cookies in a food processor blend until finely crushed. Transfer to medium bowl and mix in with the butter. Press into bottom of 13 x 9 inch dish. Refrigerate for 10 minutes. Meanwhile, whisk cream cheese, sugar and 2 tablespoons of milk in medium bowl until blended. Stir in 1 1/4 cups of the Cool Whip and spread onto the crust. Beat pudding mixes and 3 1/4 cups milk with whisk for 2 minutes and let stand 5 minutes until thickened. Pour the pudding mixture over the cream cheese layer and refrigerate for up to 4 hours. Right before serving, cover with the remaining cool whip and enjoy! June 29, 2016 by Laurie Leave a Comment This post may contain affiliate links, which means if you click on a link and purchase something, I may earn a small commission (at no additional cost to you.) See my disclosure policy HERE. 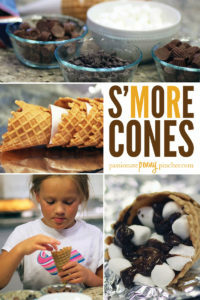 I've seen this idea for S'more cones all over the internet this summer, so finally we had to try them out! Since Kroger's Mega sale included a few deals on candy this week, we stocked up and then got our supplies together. Fill them up . . .
and bake in oven at 350 for 5-7 minutes. June 15, 2016 by Laurie Leave a Comment This post may contain affiliate links, which means if you click on a link and purchase something, I may earn a small commission (at no additional cost to you.) See my disclosure policy HERE. 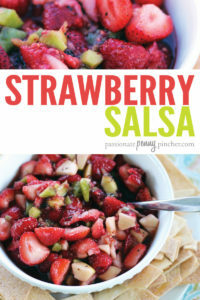 A friend of mine mentioned this recipe for strawberry salsa, and I'm so glad she did! 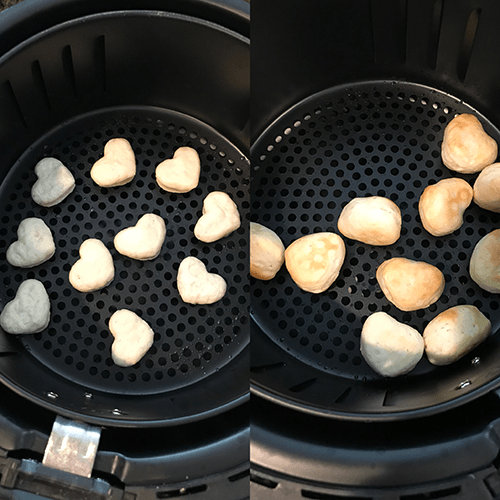 Since strawberries are in season here and have been priced so well, I loved trying out a new way to use them. 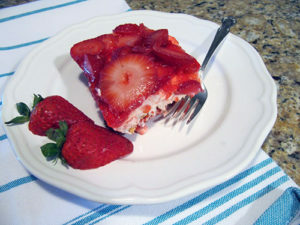 My favorite strawberry recipe is still this strawberry pie, but this is a fun twist to serve at a get together. And, since fruit is so inexpensive while it's in season, it's a great way to take advantage of some great sales out there! Here's the recipe so you can try it out too. I love all the fresh ingredients and it just looks SO pretty! 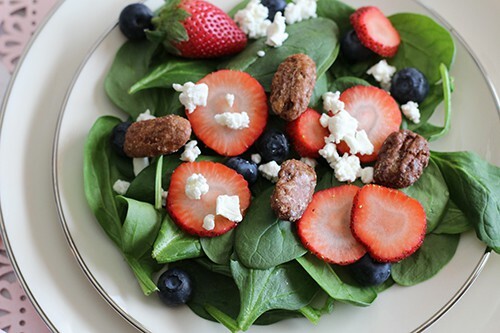 In a large bowl mix kiwis, apples, raspberries, strawberries, white sugar, brown sugar and fruit preserves. Cover and chill in the refrigerator. Coat one side of flour tortillas with butter flavored cooking spray. Cut tortillas into wedges and place on a large baking sheet. Sprinkle wedges with cinnamon sugar. Spray again with cooking spray. Bake in the oven for 8 to 10 minutes and allow to cool. Serve with the salsa and enjoy! Looking for more great fruit recipes? June 1, 2016 by Laurie 5 Comments This post may contain affiliate links, which means if you click on a link and purchase something, I may earn a small commission (at no additional cost to you.) See my disclosure policy HERE. I'm so excited about this! 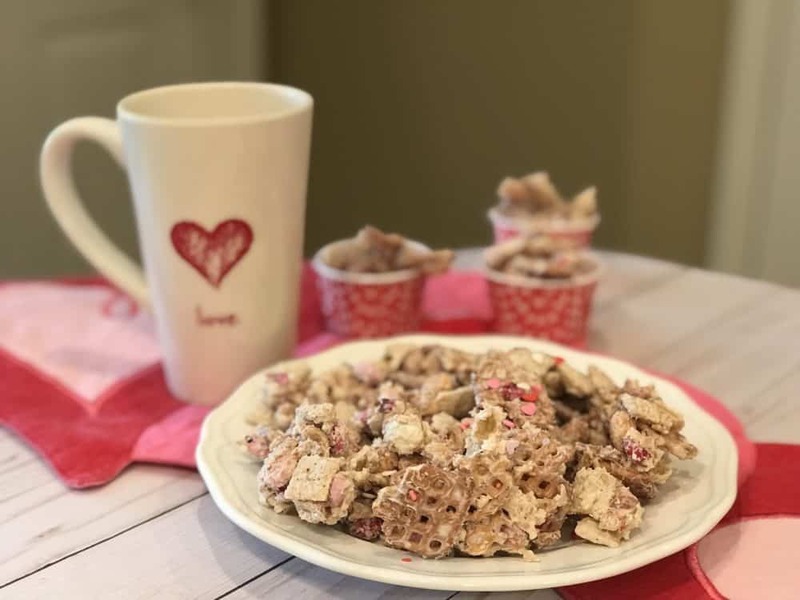 My friend Cheryl put together these completely free recipe cards of our family's absolute favorite treat recipes for you to enjoy. These are the recipes that I get asked for every time we host a get together, and I promise you'll love them. They really are the best chocolate chip cookies and chocolate cake you will EVER make, and now you can have them on a cute printed card for the next time you need a treat! Make these chocolate chip cookies . 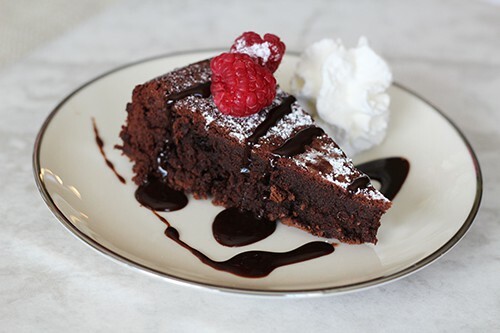 . .
and this chocolate chocolate cake. 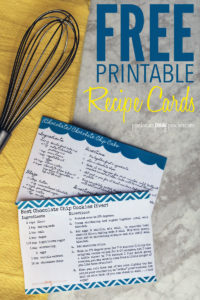 Head on over and download your free printable recipe cards today. Yum! May 25, 2016 by Laurie Leave a Comment This post may contain affiliate links, which means if you click on a link and purchase something, I may earn a small commission (at no additional cost to you.) See my disclosure policy HERE. Here's such a fun patriotic treat to enjoy this summer! 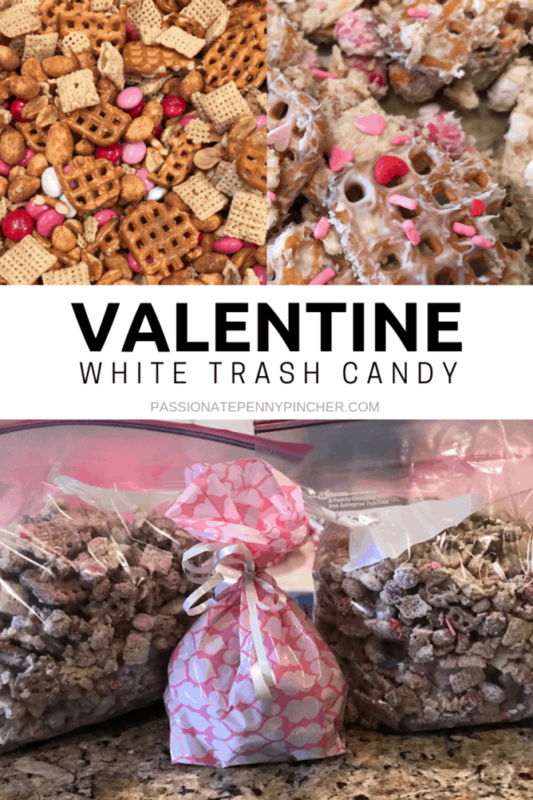 Super simple, and your kids will love helping you make these. Wash and slice your pears into thin pieces. Use your star cookie cutter to cut out star shaped pears. 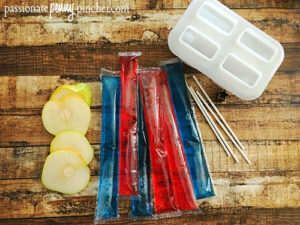 Thaw your ice pops and fill 1/4 way full with the red ice pop, add in a few stars, place a lollipop stick in the center, and freeze for 1 hour. Now fill another 1/4 with the blue ice pop, add in a few more stars (you might need to center your lollipop stick at this point), and freeze for another hours. Repeat steps 3-4 until full and frozen. Place the plastic part of your mold under running hot water for 10-15 seconds, wiggle on your stick, and they will slide right out. Looking for more patriotic desserts? May 11, 2016 by Laurie Leave a Comment This post may contain affiliate links, which means if you click on a link and purchase something, I may earn a small commission (at no additional cost to you.) See my disclosure policy HERE. 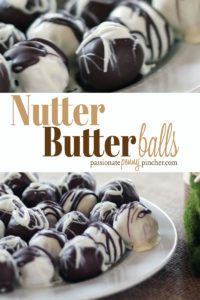 My sweet niece Sarah visited over Easter and made these super yummy Nutter Butter Balls, and I've been waiting to share them with you! 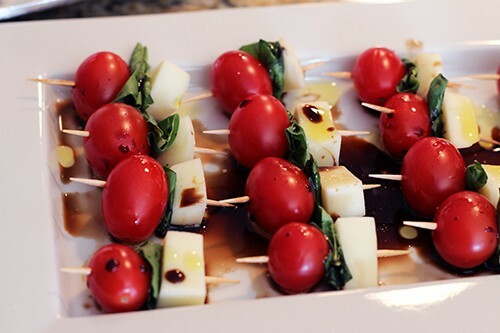 They were so good, so simple, and a huge hit at our house. 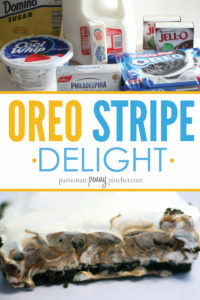 So, if you're looking for a new twist on regular Oreo balls, I promise you'll love these. Here's what you'll need . . . 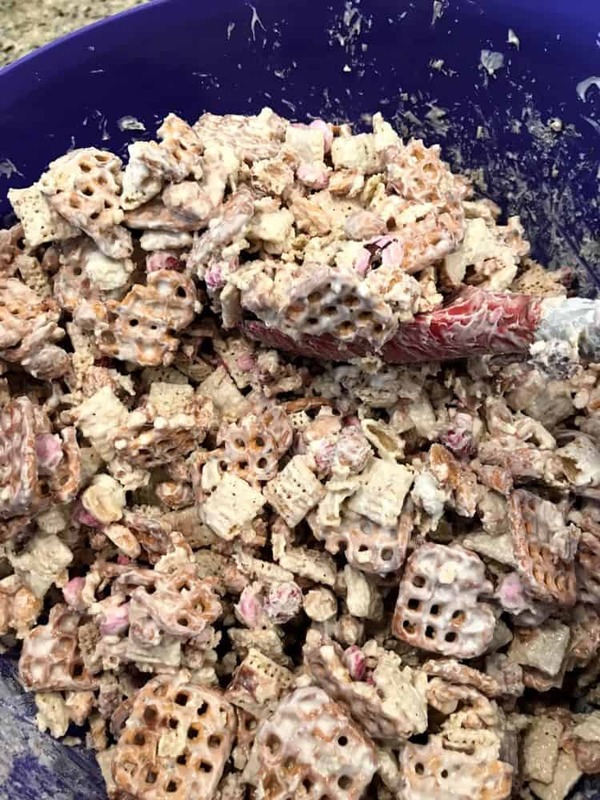 Mix cream cheese and nutter butter crumbs until combined. Shape into 48 1-inch balls – place in a shallow pan and freeze for 10 mins. 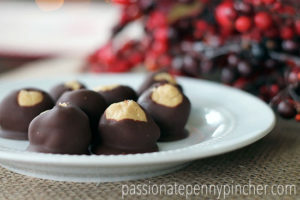 Dip frozen balls into the melted chocolate and place on a pan lined with wax paper. Drizzle white and dark chocolate over the dipped balls for decoration. Refrigerate 1 hour or until firm. 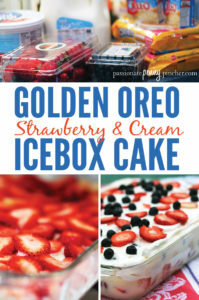 Keep refrigerated and enjoy! Recipe adapted from Tasty Kitchen. 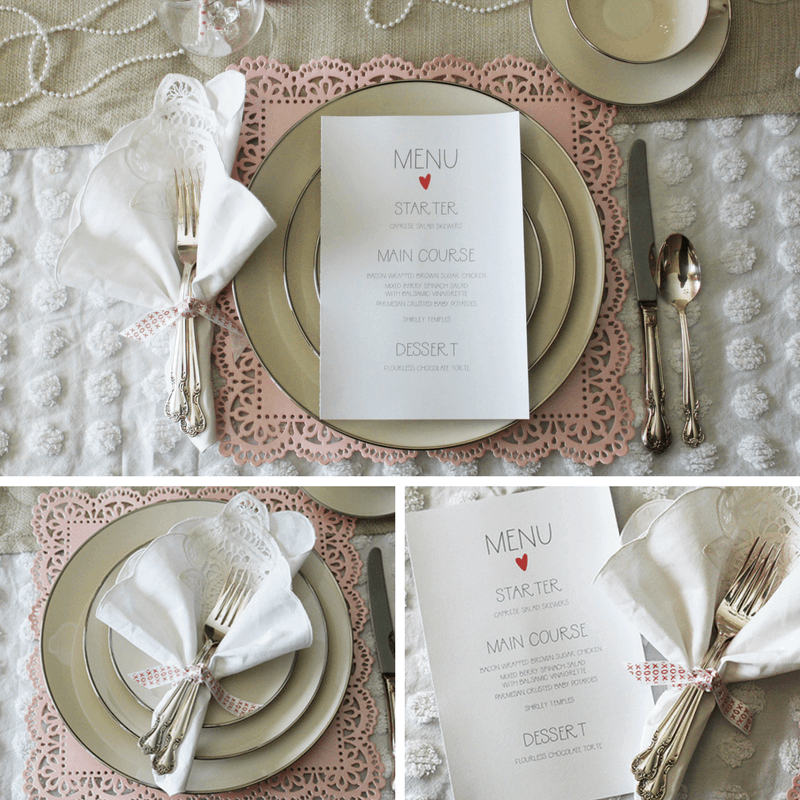 If you need a little more menu inspiration, go HERE. April 20, 2016 by Laurie 2 Comments This post may contain affiliate links, which means if you click on a link and purchase something, I may earn a small commission (at no additional cost to you.) See my disclosure policy HERE. Don't you just love when penny pinching makes you a wee bit resourceful, and the results turn out fantastic? Last week my sweet boy turned sixteen. So, I decided I was absolutely not going to buy anything we didn't need for at least a few weeks. And then I remembered that I needed a cake for my cute kid's birthday. I went through my pantry, fridge and freezer to try to come up some genius plan, and remembered this E'clair cake a friend of mine made for us years ago. It usually calls for cool whip, but I only had Kroger Reddi Whip in the fridge, so decided to make that work. Goodness, that boy of mine was in heaven. In fact, he asked this weekend if I could make him some e'clair cake again. Get a little creative with what you already have before spending more moo-lah ($40 for a cookie cake? No thanks!) and your family might just enjoy that little penny-pinched-splurge too. Mix together cool whip or reddi whip, pudding and milk. Layer graham crackers on bottom of 9×13 baking dish. 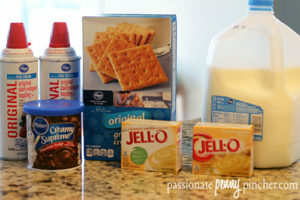 Next, spread half pudding mixture over graham crackers, then cover with another layer of graham crackers. Spread remaining pudding mixture over graham crackers, then top with another layer of graham crackers. Pop frosting in microwave and heat for about 30 seconds. Then spread carefully over graham cracker layer. Refrigerate for 4-6 hours, then serve. 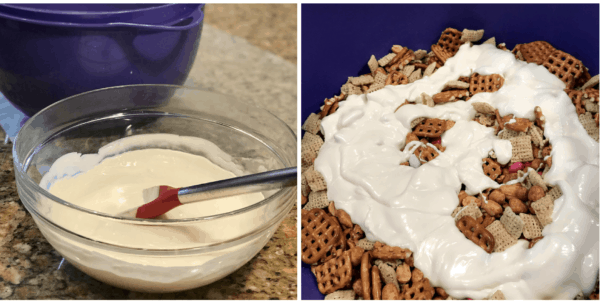 In a bowl mix together the pudding mix, whipped topping, and milk until completely combined. 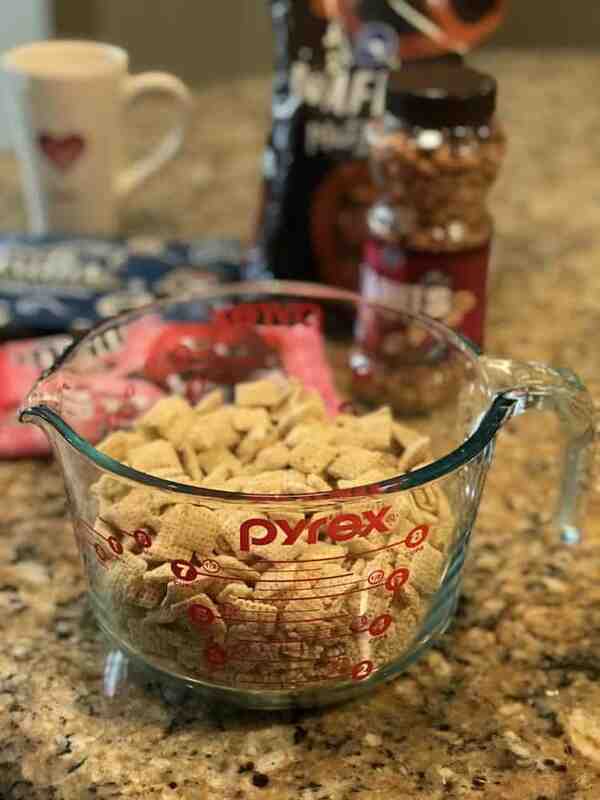 Place a single layer of graham crackers in the bottom of a 9×13″ dish. Spread half the pudding mixture over the graham crackers. Top the pudding layer with another layer of graham crackers. Add the other half of the pudding mixture and top that with a final layer of graham crackers. Spread frosting over the graham cracker layer all the way up to the edges of the pan. Cover and chill for at least 4 hours before serving. Recipe adapted from All Recipes. If you need a little more menu inspiration, go HERE. 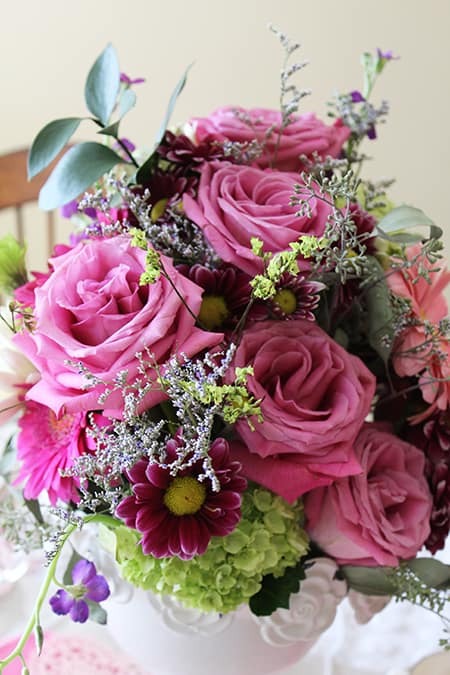 April 13, 2016 by Laurie 3 Comments This post may contain affiliate links, which means if you click on a link and purchase something, I may earn a small commission (at no additional cost to you.) See my disclosure policy HERE. 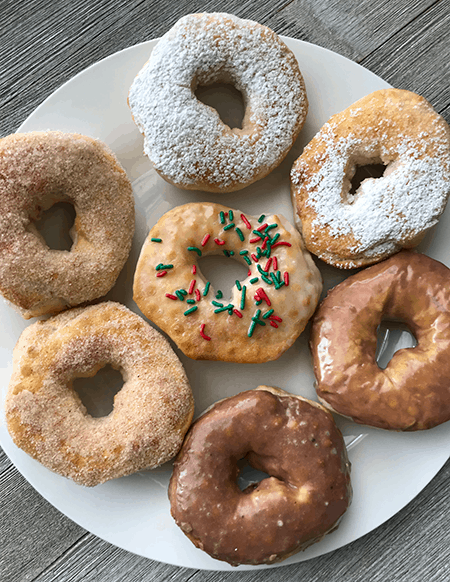 Need a quick treat for just a few? I love this recipe for a small batch of peanut butter rice crispy bars ~ perfect when you just want a quick treat in a small batch! Add all ingredients to a small microwave safe bowl and microwave for 1 minute. Stir the ingredients and microwave another 20-30 seconds. Remove the mixture from the microwave, stir again and then add in the 1 cup of crispy rice cereal. Stir to combine the ingredients and coat the cereal. Drop by round spoonful onto wax paper or evenly spread in a small baking dish like this one. Let set and then cut into bars. 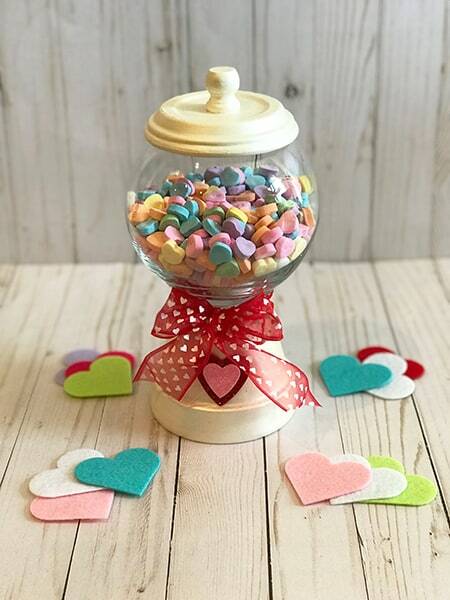 March 26, 2016 by Laurie Leave a Comment This post may contain affiliate links, which means if you click on a link and purchase something, I may earn a small commission (at no additional cost to you.) See my disclosure policy HERE. 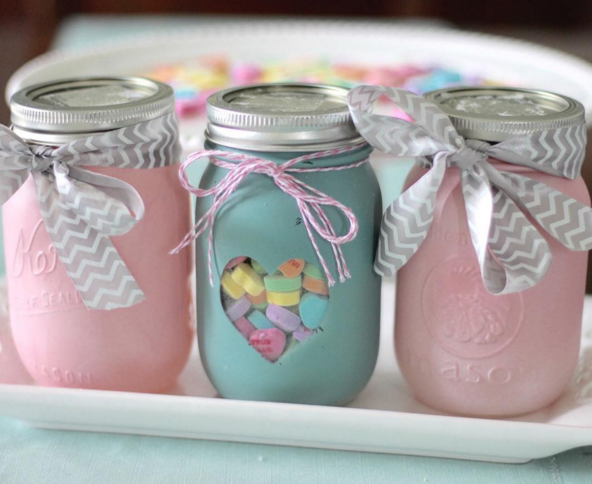 You guys … are you looking for something quick and easy to add to your Easter menu? 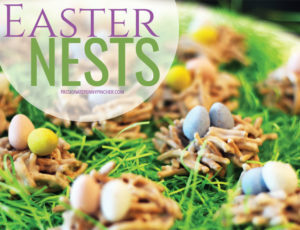 These cute nests took just ten minutes to make!! 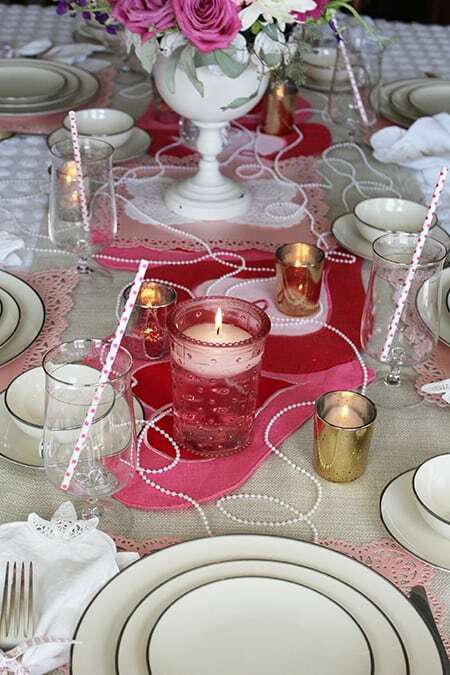 And use them to decorate your table. 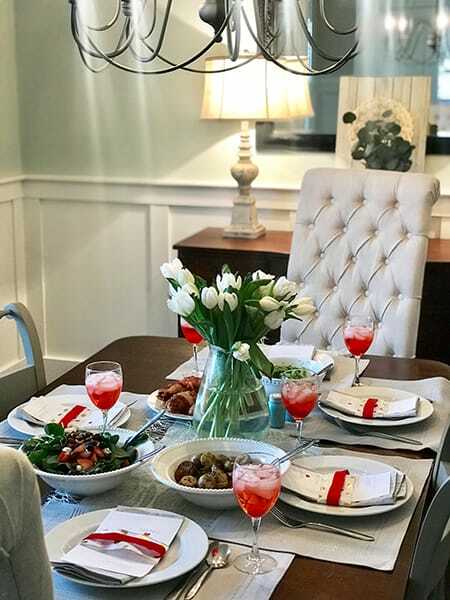 Hope your family is enjoying a wonderful Easter weekend! 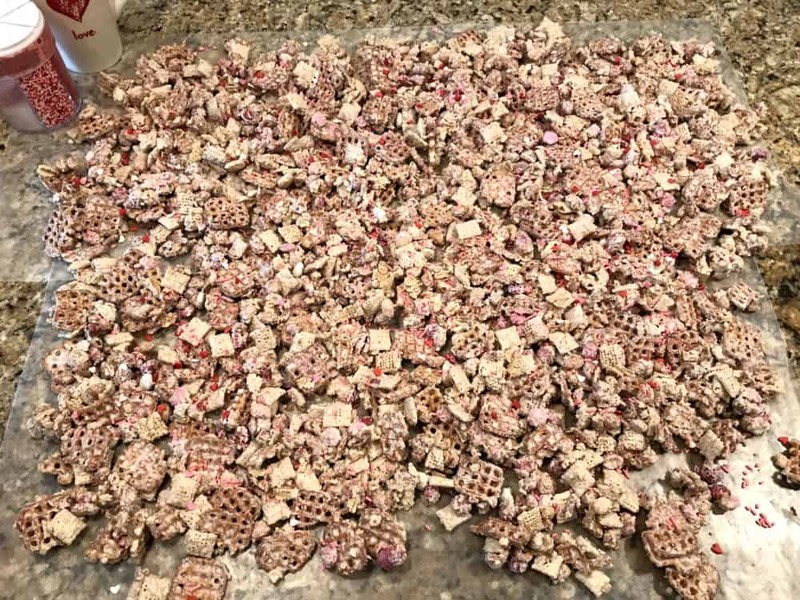 Microwave the candy melt for 1 minuet. Stir and melt again in 15 second intervals until completely melted. Dump the chow mein noodles into the melted chocolate and mix until they are all evenly coated. 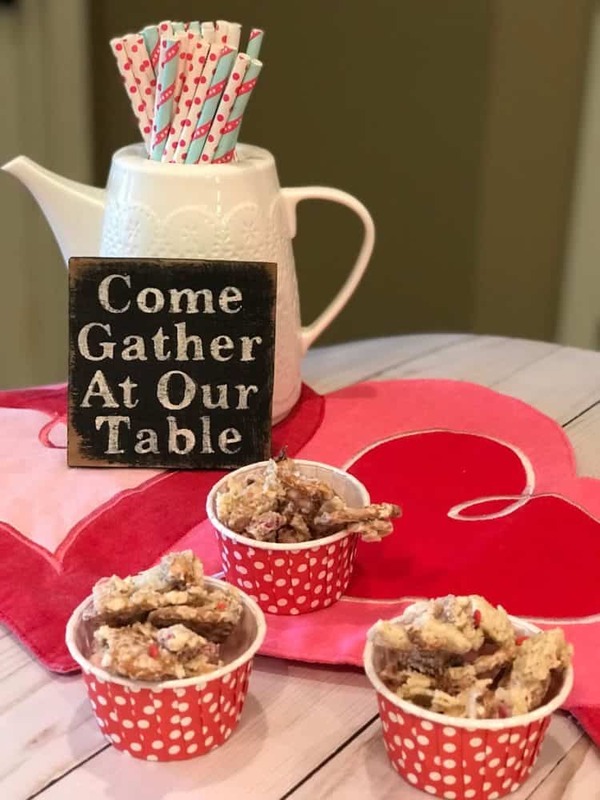 Drop the “nests” onto parchment paper using a spoon. Place two Cadbury mini eggs on top and you are done! March 16, 2016 by Laurie Leave a Comment This post may contain affiliate links, which means if you click on a link and purchase something, I may earn a small commission (at no additional cost to you.) See my disclosure policy HERE. 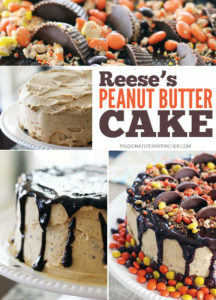 You have got to make this cake. Now, beat up the whoopie pie filling. Mix in butter and marshmallow cream until it's nice and fluffy . . . then add in the powdered sugar until combined. Dump all that whoopie pie filling on the first layer of your cake and spread around evenly. Top with your second layer and get ready to make the ganache. Ganache is so easy to make ~ don't let the name fool you (just two ingredients!) Heat up your half and half on the stove and just before it starts to boil, remove it from the heat. 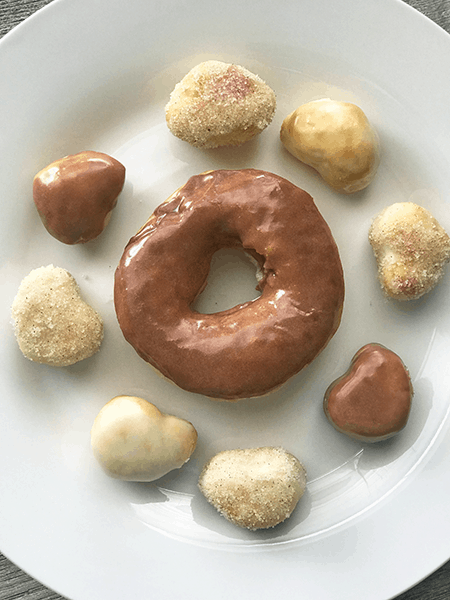 … until they're all completely melted. 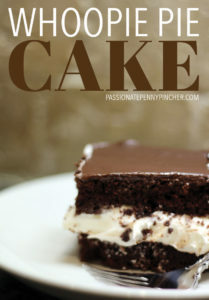 Spread that perfect ganache all over the cake, and let your friends share what an amazing cook you are. Spray or Grease 2 9×13 pans. 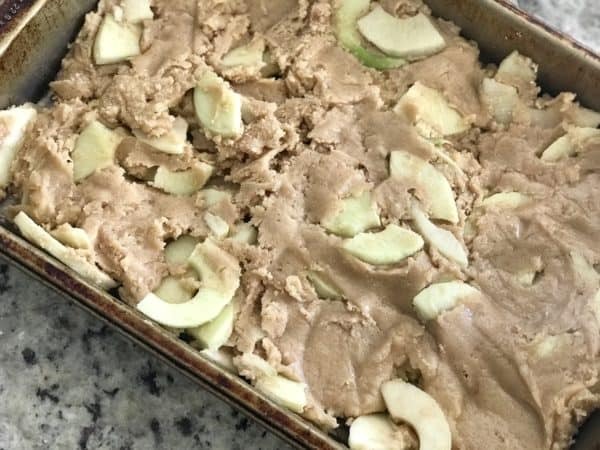 Prepare cake according to package directions, subbing unsweetened applesauce for the oil and adding one extra egg. Split the batter between the 2 pans and bake for 15-20 minutes until a toothpick comes out clean. Mix the butter and marshmallow fluff together until smooth. Slowly add in the powdered sugar until smooth. Spread the whoopie pie filling on top of one of the cakes. Top this with the other cake. In small saucepan bring the half and half to an almost boil. 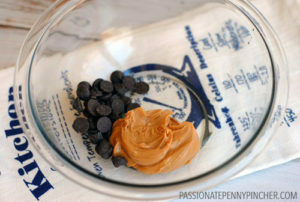 Quickly remove from the heat and stir in the chocolate chips until smooth. Allow to cool for 10 minutes and spread evenly over the cake. Interact with 7629+ Penny Pinchers on Facebook and Twitter or Subscribe to Passionate Penny Pincher by email to keep up with all the penny pinchin’ deals! Recipe adapted from Cookies & Cups. Looking for more amazing dessert recipes?